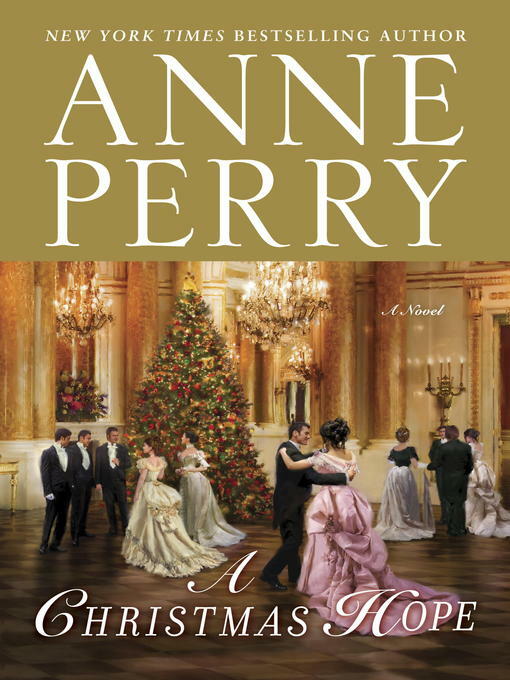 Anne Perry's "vastly entertaining" (The Star-Ledger) holiday novels are "as delicious as mince pie and plum pudding" (Milwaukee Journal Sentinel). A Christmas Hope is just as delectable—the gripping story of an unforgettable battle between goodness and evil in Victorian London—and a lonely woman's search for meaning in her life. Although she lacks for nothing, Claudine Burroughs dreads the holiday season for forcing her to face how empty her life has become. She no longer expects closeness with her coldly ambitious husband, and she has nothing in common with their circle of wealthy, status-minded friends. The only time she is remotely happy is when she volunteers at a woman's clinic—a job her husband strongly disapproves of. Then, at a glittering yuletide gala, she meets the charming poet Dai Tregarron and finds her spirits lifted. But scarcely an hour later, the charismatic Dai is enmeshed in a nightmare—accused of killing a young streetwalker who had been smuggled into the party. Nevertheless, it's the season of miracles and Claudine finally sees a glimmer of hope—not only for Dai but for a young woman she befriends who is teetering on the brink of a lifetime of unhappiness. Anne Perry's heartwarming new holiday novel is a celebration of courage, faith, and love for all seasons.